Unfortunately, some of the applications (like GDM Tweaker) you could use to change the GDM login screen background / GTK theme no longer work with GNOME 3 / GDM 3, so here is how to change the GDM3 theme or background manually, via command line. 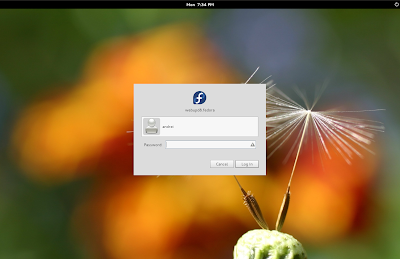 Update: this doesn't seem to work in Ubuntu (both 11.04 and 11.10), but it works in Fedora and Arch. GSETTINGS_BACKEND=dconf gsettings set org.gnome.desktop.background picture-uri "file:///usr/share/backgrounds/FILE.JPG"
In the last command above, replace "FILE.JPG" with the picture you want to use as the GDM3 login screen background. Please note that you must specify a file which user "gdm" has permission to read, that's why I've used file:///usr/share/backgrounds/. 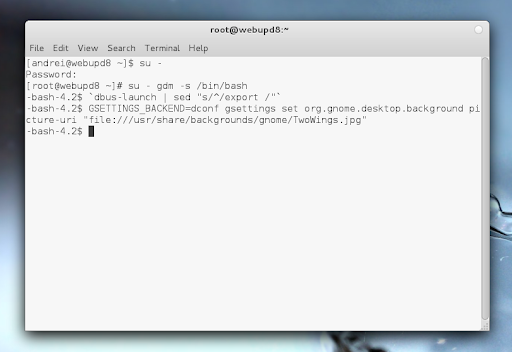 For instance, user "gdm" cannot read files in your home directory. GSETTINGS_BACKEND=dconf gsettings set org.gnome.desktop.interface gtk-theme "THEME_NAME"
Where "THEME_NAME" is the name of the theme, e.g. : "Zukitwo". The themes must be placed under /usr/share/themes/. Most of the info thanks to the ArchLinux Wiki.